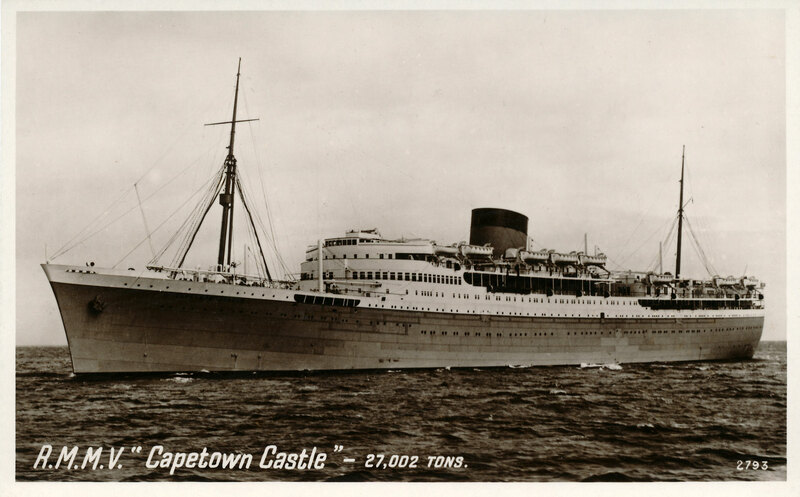 Capetown Castle was built by Harland & Wolff Ltd, Belfast (yard no.986), who also built her Burmeister & Wain designed 10-cyl diesel engines totalling 24000bhp. Subsequent passenger ships for the mail service reverted to steam turbine power. 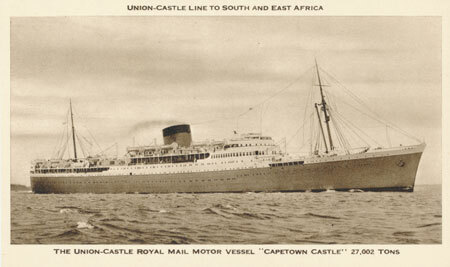 She was launched on 23rd September 1937 and was delivered in April 1938. 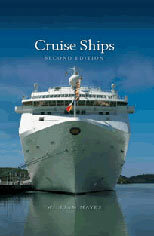 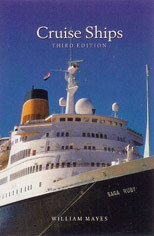 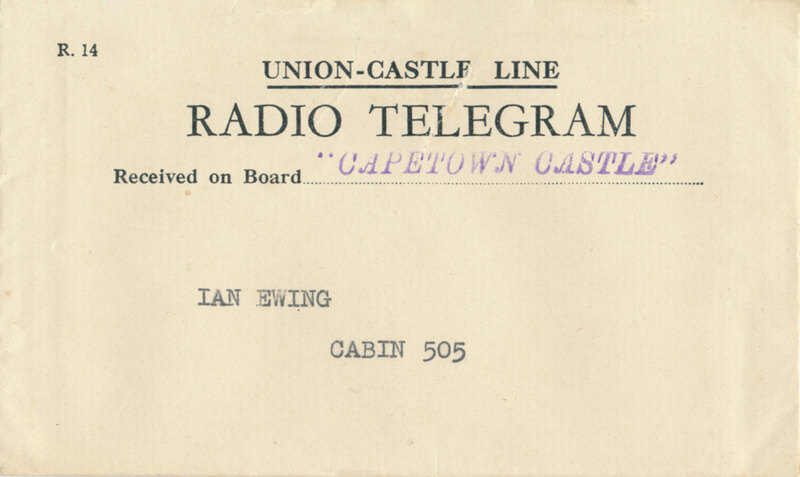 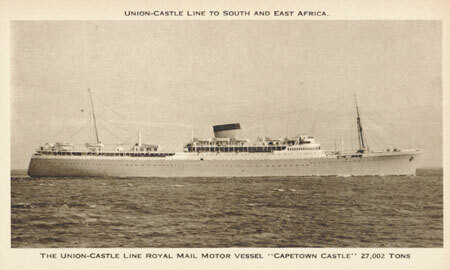 Her first arrival at Cape Town was on 13th May 1938 on the mail service. 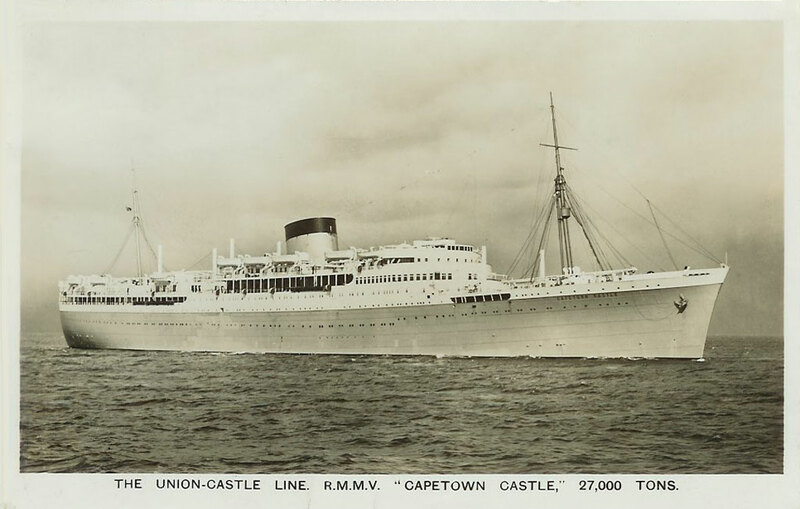 She was requisitioned in 1940 and carried 164,000 troops and passengers before release in July 1946. 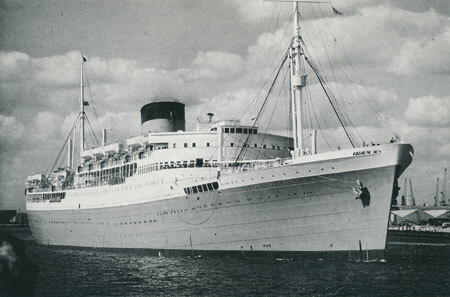 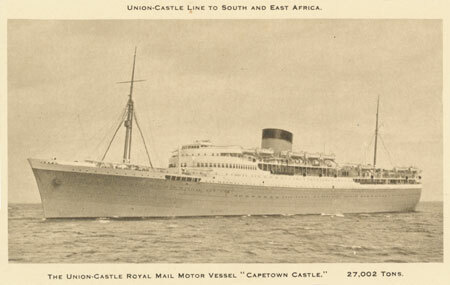 After refit Capetown Castle returned to the mail service in January 1947, now accommodating 244 first and 553 cabin (later renamed tourist) class passengers. 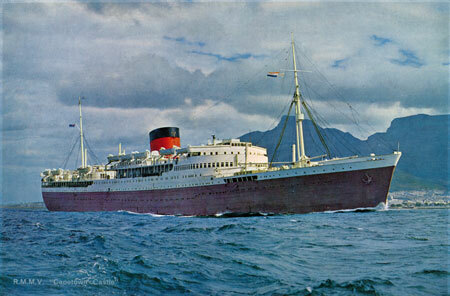 In October 1960 she suffered an engine room explosion off Las Palmas which killed seven. 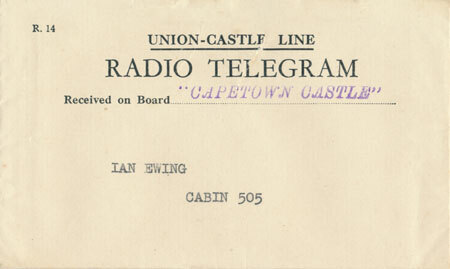 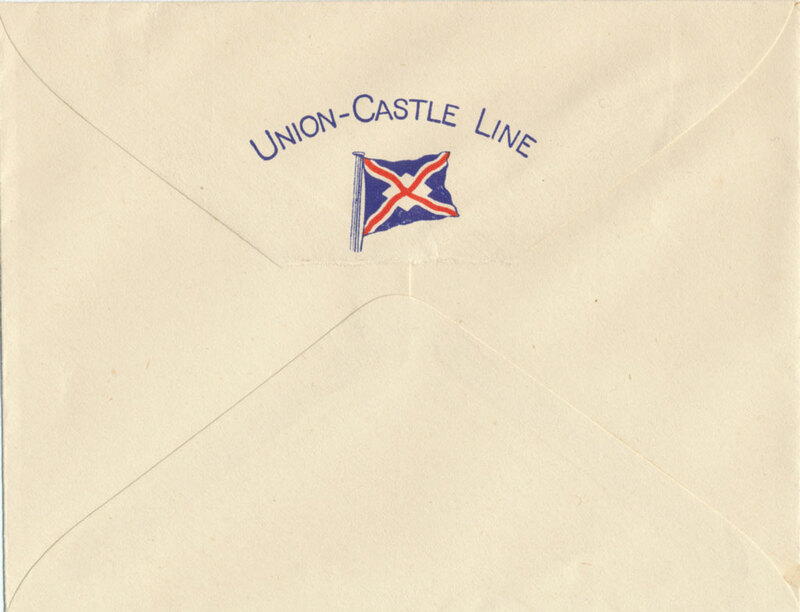 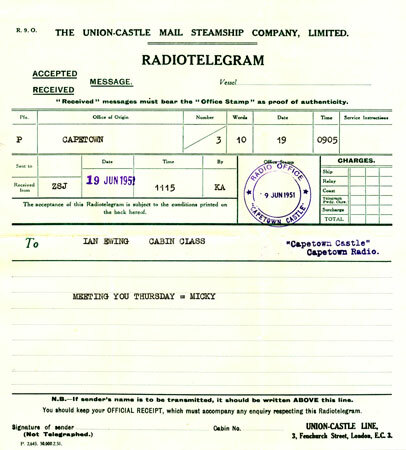 In 1965 an accelerated eleven and a half day mail service was introduced, for which Capetown Castle was too slow. 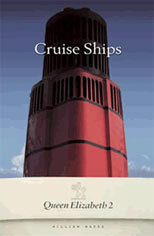 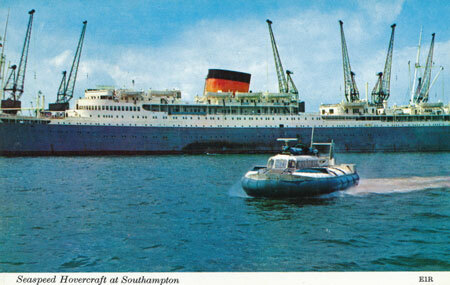 She was replaced, along with Athlone Castle and Stirling Castle, by the new Southampton Castle and Good Hope Castle. 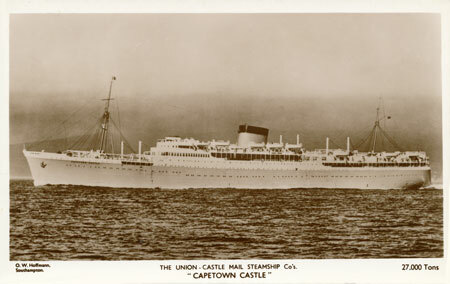 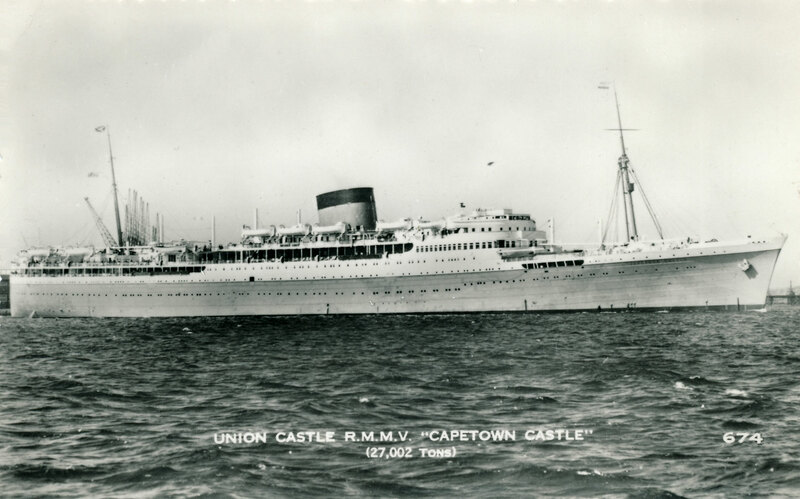 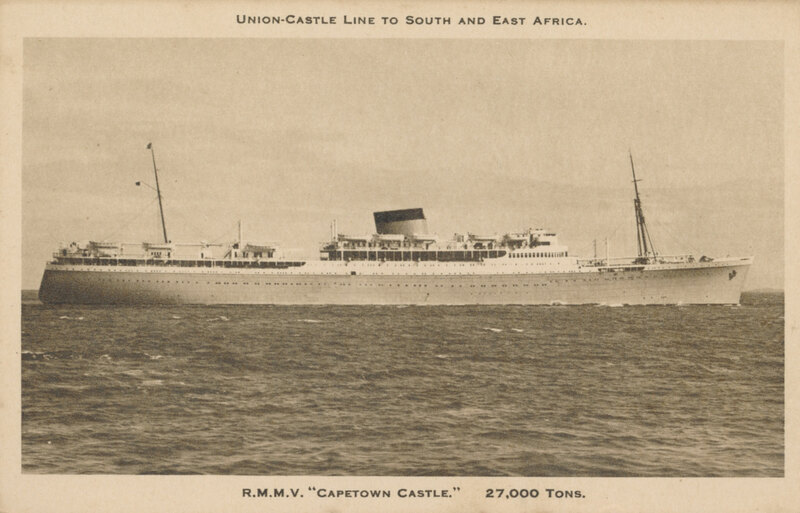 Capetown Castle was used as a one-class ship carrying 776 passengers on an intermediate service taking fifteen days. 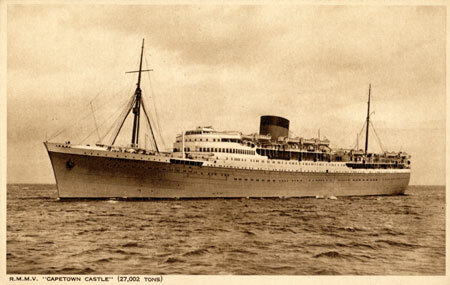 In September 1966 she made two cruises to Palma but then returned to the mail service briefly because of delays to the delivery of Good Hope Castle. 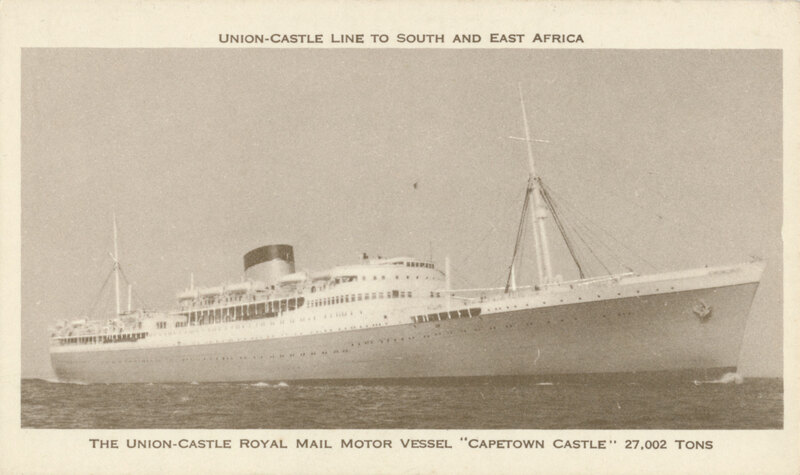 The last departure of Capetown Castle from Cape Town was on 23rd August 1967 and she departed Southampton for breaking up at La Spezia on September 26th. Capetown Castle was a slightly larger version of Stirling Castle and Athlone Castle and could easily be identified by not having the open first class promenade on D Deck which featured on the earlier ships. 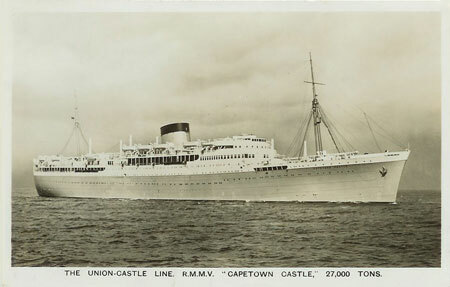 Post WW2 images of Capetown Castle can be identified by the white masts. 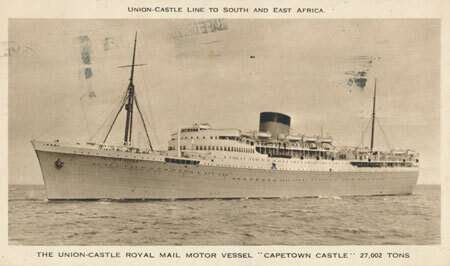 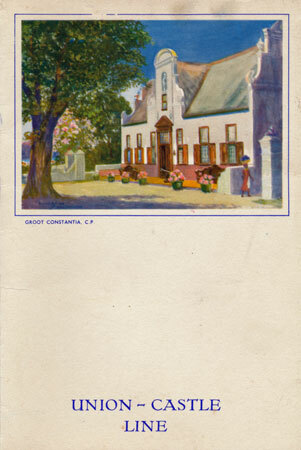 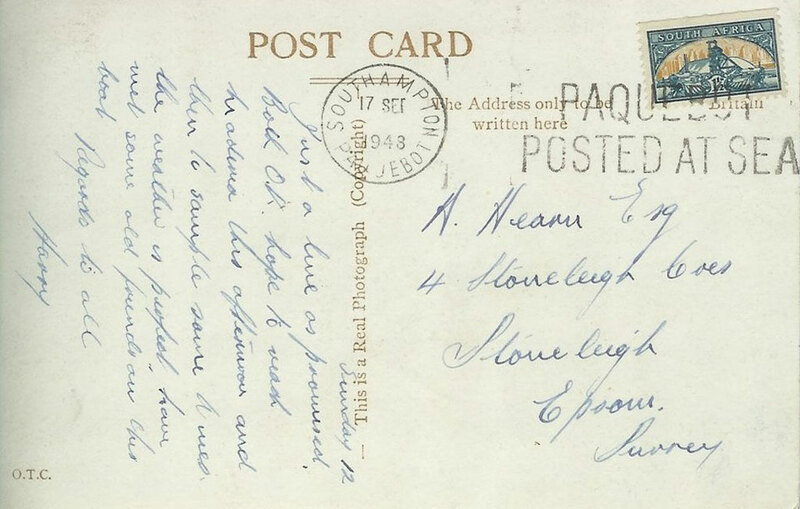 As usual, a wide range of the under-sized and some standard-sized sepia postcards were issued of Capetown Castle. 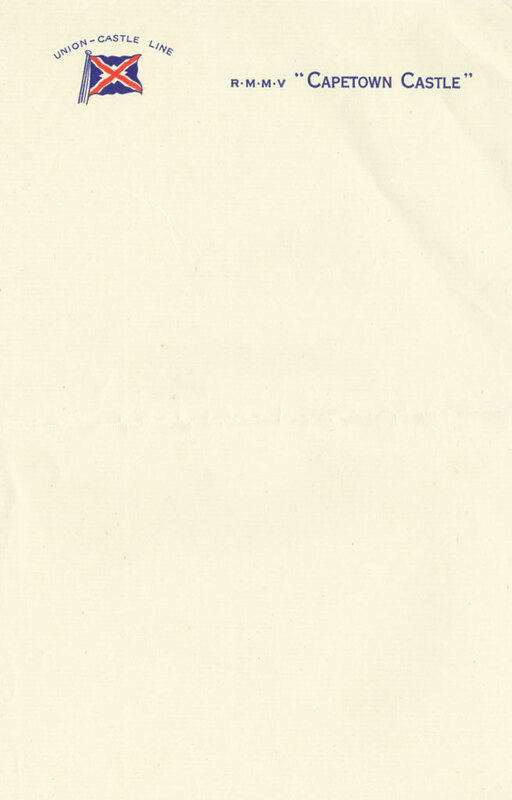 None are particularly attractive cards, nor are they printed to high quality. 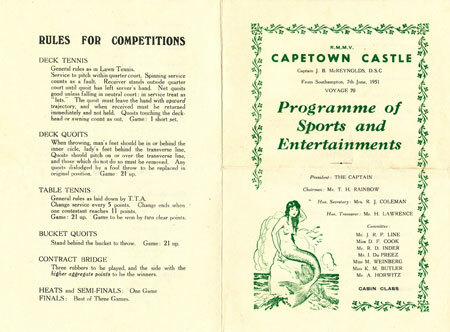 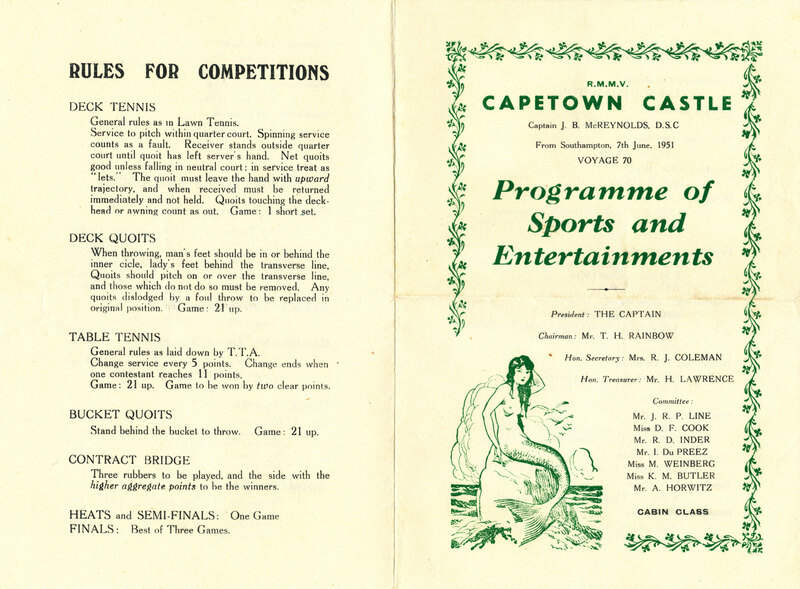 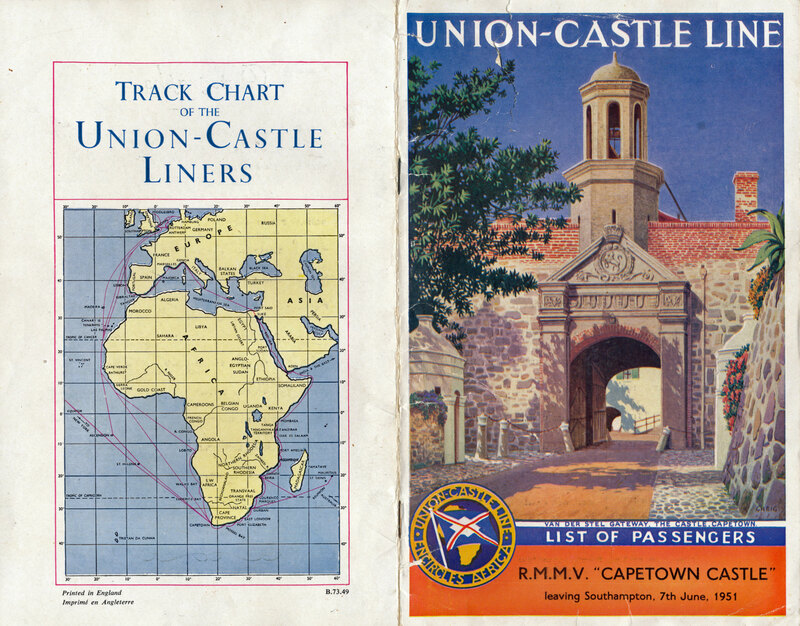 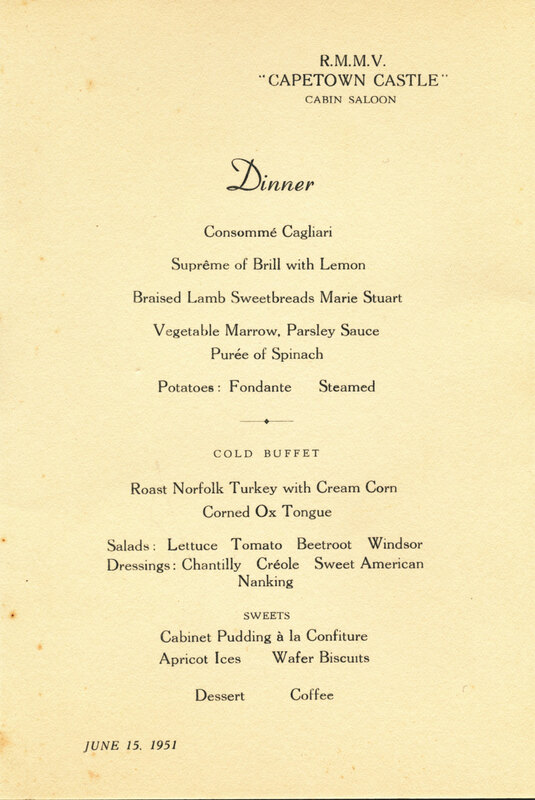 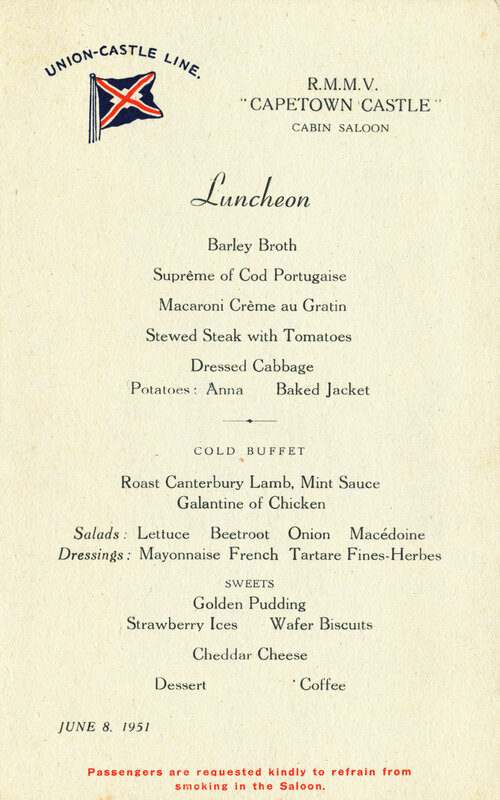 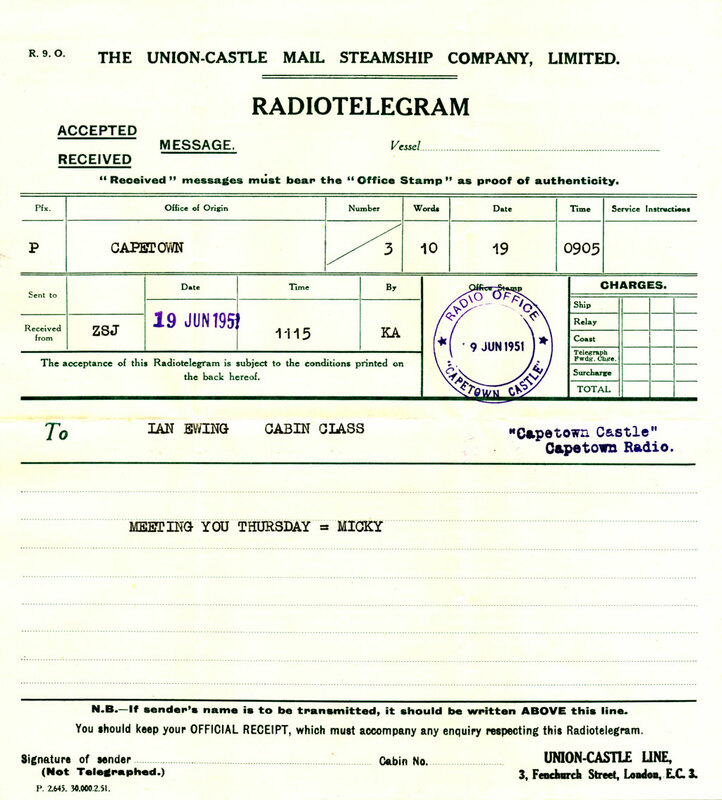 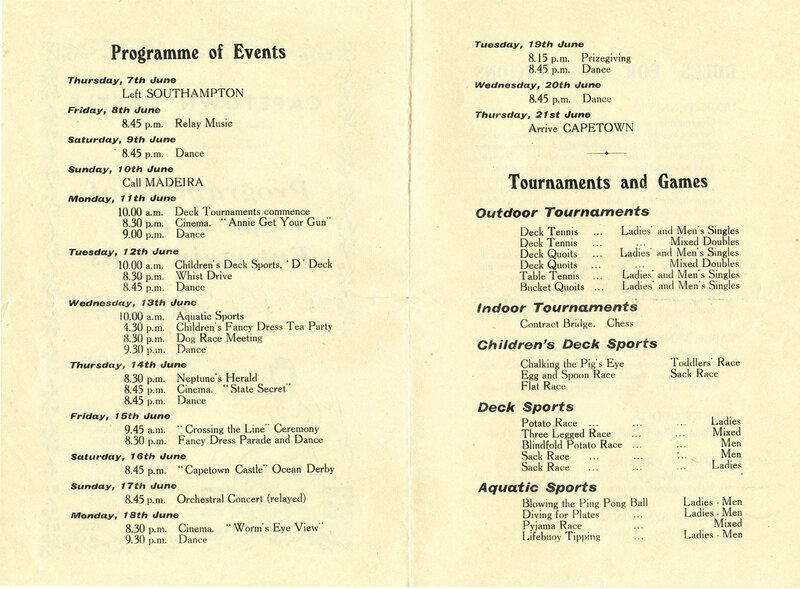 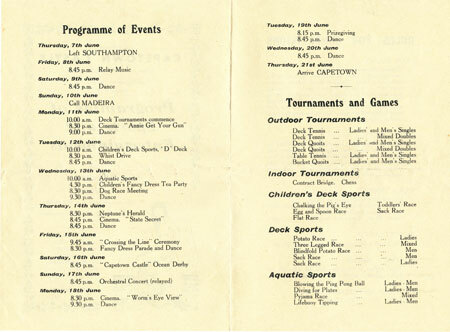 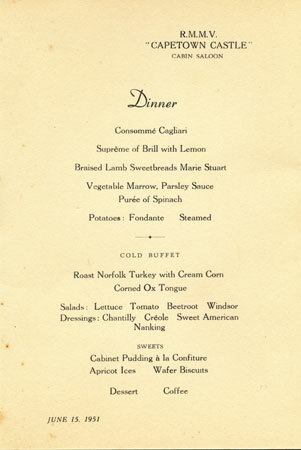 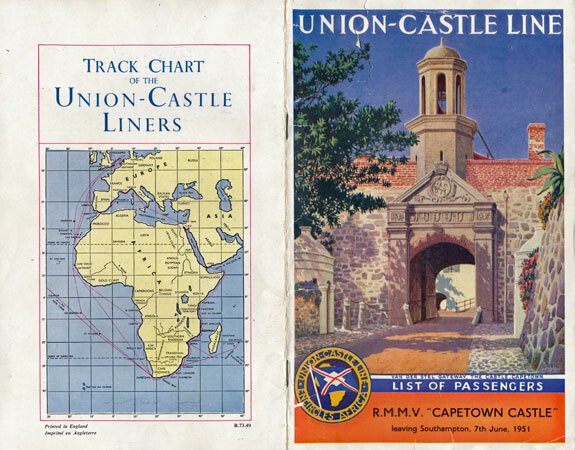 A selection of Union-Castle items from a trip taken on Capetown Castle from Southampton in June 1951. My thanks to Lorna J.Clarke for making this material available to me.